Do you love playing in the water? Does the recent snowfall make you long for warmer days when you can relax poolside? If so, check out this article in The Daily Mail Online for beautiful pictures of and information about the world’s deepest swimming pool, the Crystal Lagoon. Seawater is drawn and filtered by a computer-controlled suction system. The sun then warms it to 9° higher than the natural ocean temperature. It opened in December 2006, cost one billion pounds and took nearly five years to build. At 3323 feet long and 115 feet deep, it’s not cheap to run either. It costs an estimated two billion pounds per year to keep it running. However, the cost is well worth it. 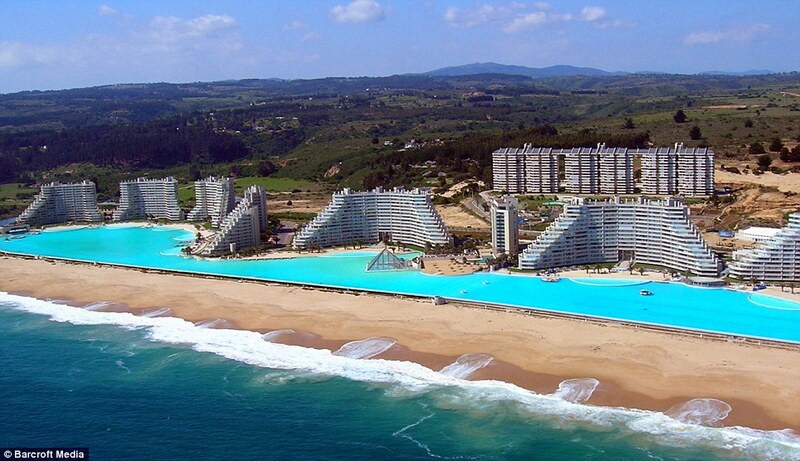 Located in the San Alfonso Delmar resort in Chile, visitors can sail, swim or simply relax in this marvel of human ingenuity. While your lot may not permit an installation like this, water features of any size can bring a special touch to any landscape.